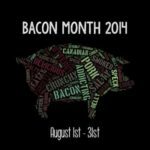 Welcome to Bacon Month hosted by many bloggers and spearheaded by Julie at White Lights on Wednesday! 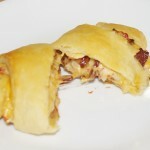 This month, every Tuesday and Thursday I will be posting a recipe featuring bacon and a giveaway. How exciting! This first recipe came to me a couple of weeks ago when my former co-worker and friend Kay sent me a text asking if she could drop by. We had not seen each other for some time and I was excited to see her. She came with a hostess gift of locally handcrafted beer, created by her step-son Matt at the Anthem Brewing Company, LLC. 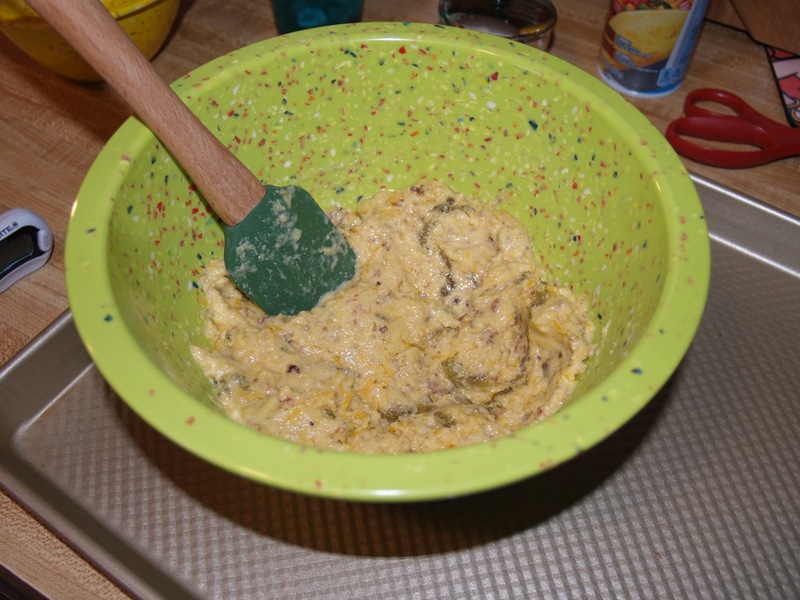 1 Cup self rising cornmeal (not many people have that so I always just make mine with ¾ Cup yellow cornmeal, 1 teaspoon of baking powder and ½ teaspoon of salt). ½ Cup self rising flour (again, I make mine with all-purpose flour: ½ cup AP flour, ¾ teaspoon baking powder, ½ teaspoon salt). In a heavy bottom sauce pan, put 3 inches of oil in and turn the burner on to reach a temp of 375 F.
Mix the first 3 ingredients together then make a little well in the middle. Beat the egg and add the beer mixing well. Pour the egg/beer mixture into the well and then fold until just combined. 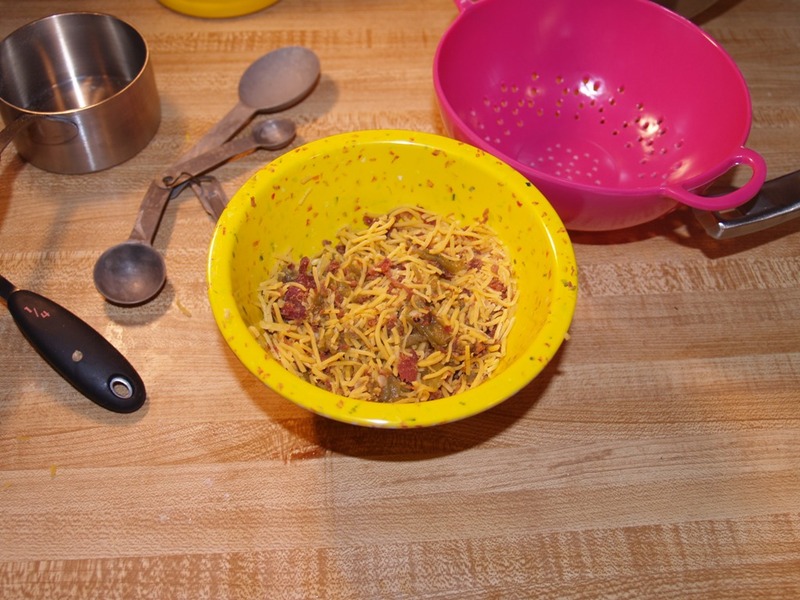 Mix the bacon, cheese, and green chiles together in a small bowl then gently fold into the cornmeal mixture. Do not stir more than you have to because you do not want tough pups. It only takes 2 – 3 minutes on each side so be sure to stay with them and flip as soon as they are brown on bottom. When done, take out with a slotted spoon and drain on paper towels. Makes a Baker’s Dozen (13) hushpuppies. 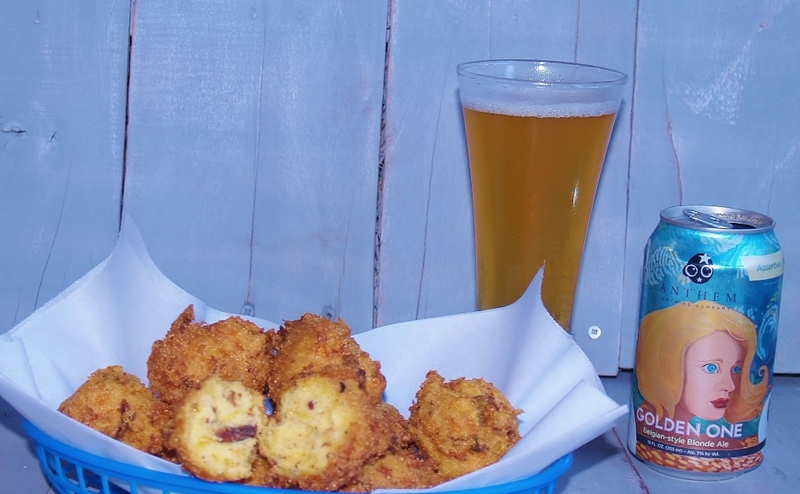 This recipe would be perfect as an appetizer or finger food for tailgating along with beer! This light beer was perfect for the recipe and I want to thank my friend Kay for bringing it to me – for Mr. Picky Eater, but he got to enjoy it TWO ways! 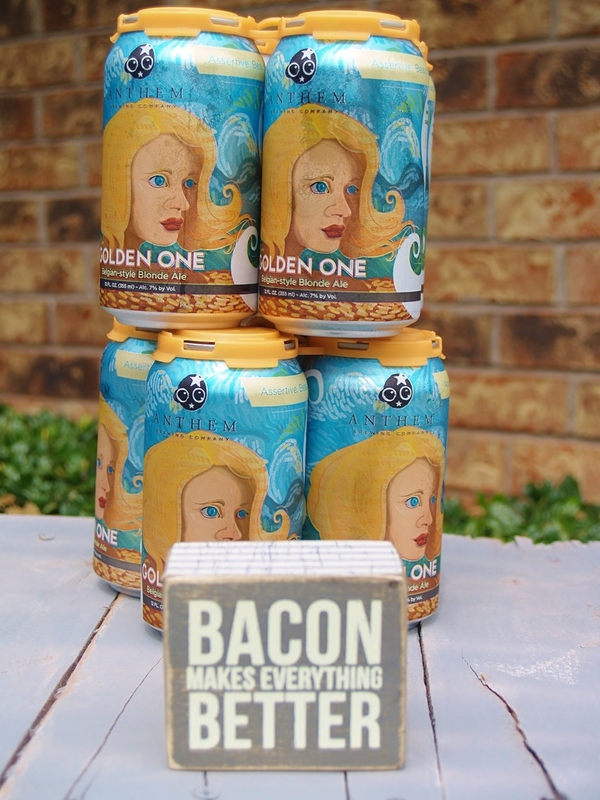 Previous Post: « Bacon Month Begins! Thanks Jessica – they were great! I haven’t eaten hush puppies in over 30 years. I don’t know why, and now there’s no excuse not to have them again. These sound heavenly! Thanks Becca – it’s always good to bring back something with a new spin! hope you enjoy! 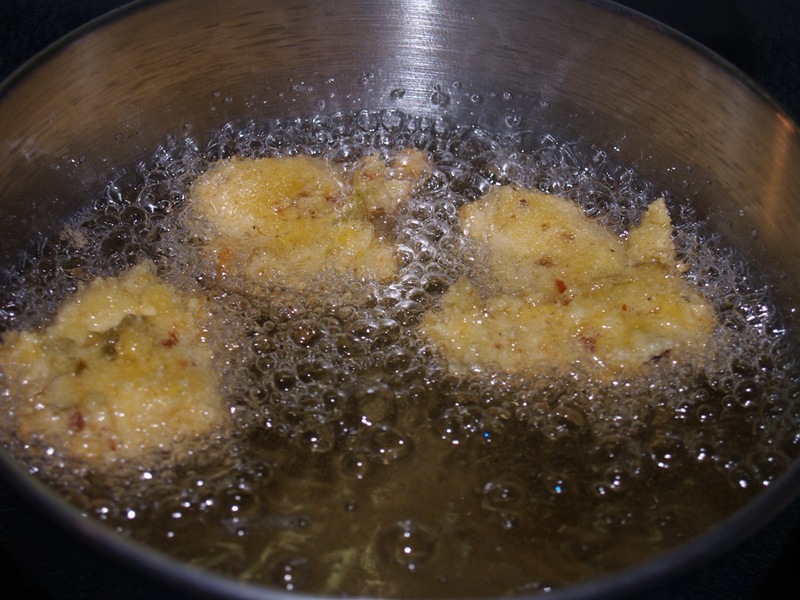 I try really, really hard not to fry things but I don’t think I can resist these hush puppies, Kelli! 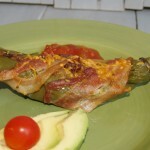 Cheese, bacon and green chilies? You are speaking my language of love! They are smashing! You will love them and so will Simon. Oh your hush puppies look amazing Kelli! Great for tailgating parties too! That beer looks really good too – I am a craft beer lover. Thanks so much for dropping by – I’m glad to find another craft beer lover (although I don’t drink it – just cook)! I don’t care to drink alcoholic beverages either, but I love to cook with beer, wine and liqueurs. 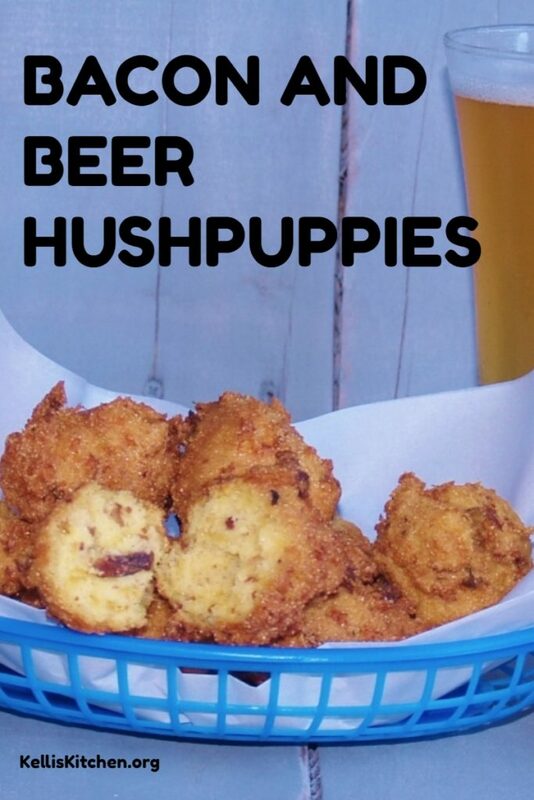 I’ve been thinking about making hushpuppies and these will be the ones I’ll try. I’m sort of like Becca in that hushpuppies are a rarity for me. Yet, I really like them. This brew is not available in my neck of the woods (NE Texas), but I really prefer to use the ‘homeless guy’ beer to cook with anyway (the 10% raw malt liquor stuff). Belgian or Belgian-style beer was meant to drink! 😉 I’m going to double your recipe and serve those bad boys alongside some fried fish and corn on the cob. Wow, Kelli! 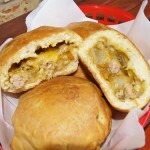 Bacon in a hushpuppy! Outstanding! Thanks Adam! We don’t have them a lot but they were really good and we all wondered why I never fixed them much! Enjoy them! I love hush puppies but never thought about adding bacon!! 🙂 Great idea, they looks delicious!! recent post, Homemade Vanilla Ice Cream!!! Try it – you will enjoy it! Thanks Thalia – these are so darn good!! 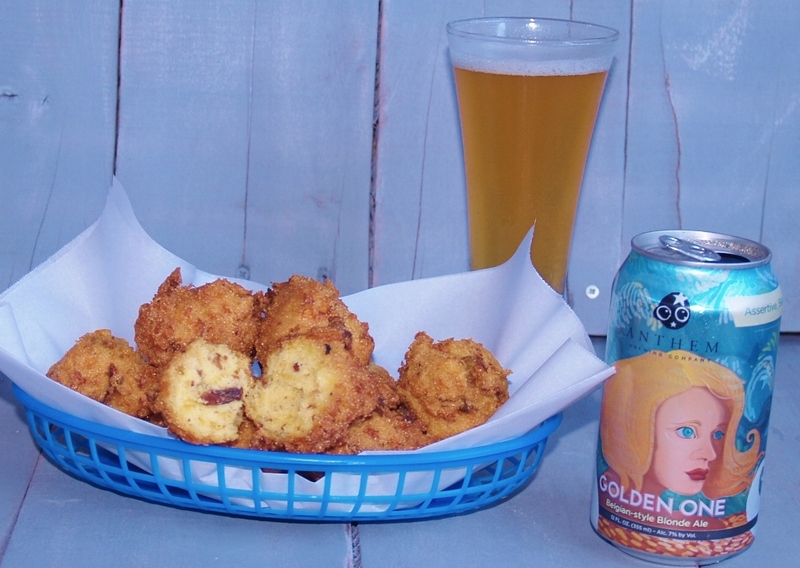 Hushpuppies are popular in the south where I grew up…going so good with fried fish. Here in New England which is know for its good seafood, you don’t see hushpuppies. I haven’t had any in so long and yours sound great with the bacon and chilies added to them. Thank you Karen – you should give your husband a taste of Texas with some!